Your generous support of the Cedar Rapids Public Library Foundation will help the Foundation fulfill its mission of enhancing and enriching library programs, services and facilities. There are many ways to contribute and support, including individual, corporate, and planned giving. Click on each below to learn more about each. Thank you for all your support! Experience literature inspired food and spirits pairings at the Library Foundation’s first-year fundraiser. 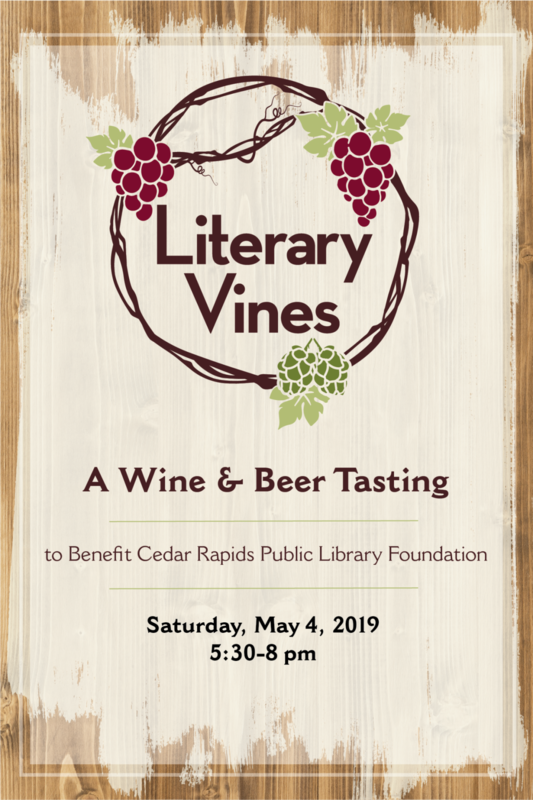 Selections will include wine and beer from First Avenue Wine House and Benz Beverage Depot and gourmet tasting portions from Greyhound Deli & Café. Enjoy a live jazz ensemble while you explore our Library Programming Department’s Tech Petting Zoo. Discover new Foundation-funded technology, including Ozobot Programming Robots, a 3D printer, Glowforge laser cutter, and more. Snap a picture with Dolly Parton and your favorite Imagination Library book at our Imagination Library photo booth. All funds raised benefit the Library Foundation and Foundation-funded programs, including Dolly Parton’s Imagination Library. Thank you to our partner sponsors: TrueNorth and Bankers Trust. Your generous support of the Cedar Rapids Public Library Foundation helps our Library deliver innovative programs and services that meet our community’s needs. Gifts to the Foundation support preschool outreach, after school programs for teens, online classes that help patrons learn new skills and earn advanced certifications, and so much more. The Library Foundation accepts cash and stock gifts, company matching gifts and has a monthly giving program called Exemplary Givers outlined below. Your gift to the Foundation makes a difference in our community every single day. We sincerely appreciate your support. If you wish to mail in your donation, please download this Gift Form and return to the Library Foundation. If you wish to make a gift online, please click the Donate Now button below. Memorial and tribute gifts are a thoughtful way to honor those we love and admire. Tribute gifts may be unrestricted or designated. In some cases, a bookplate acknowledging your honoree(s) may be placed inside an item in our Library’s collection. Additional opportunities to recognize and honor friends, family or colleagues include an engraved plaque on chairs in Whipple Auditorium or naming a room in our Downtown branch. Please contact the Library Foundation at 319.739.0411 to learn more about these options. If you wish to mail in your tribute gift, please download this Tribute Form and return to the Library Foundation. If you wish to make a gift online, please click the Make a Tribute button below. The Ada Van Vechten Society honors those who are committed to caring for and nurturing the Cedar Rapids Public Library now and in the future. A person becomes eligible for membership upon receipt of written notification of the Cedar Rapids Public Library Foundation’s inclusion in his/her estate plans or when an annual gift of $1,000 or more has been received by the Foundation. Monthly donors to the Library Foundation are known as Exemplary Givers. By making a monthly gift to the Foundation, you are helping support the Cedar Rapids Public Library’s efforts to impact library patrons and our community. Your sustaining gift as an Exemplary Giver allows you to spread your donation throughout the year while providing a steady stream of support to the Library Foundation. Your monthly donation of $10 or more is an easy way to make a big difference. 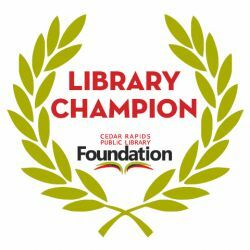 The Foundation’s Library Champion Program offers the opportunity for local organizations to support your Cedar Rapids Public Library’s programs and collection enhancements that would not be possible without philanthropic funding. Library Foundation contributions support the Library’s efforts to impact our community and transform quality of life through education, civic engagement, the arts and entertainment. Annual gifts through the Foundation’s Library Champion Program are essential for the Foundation’s ability to support the Library’s mission and vision as a passionate advocate for literacy and lifelong learning. Please join other organizations in the Foundation’s Library Champion Program. To enroll in the Library Champion program, please download the enrollment form and return it via mail to Cedar Rapids Public Library Foundation, 450 5th Avenue SE, Cedar Rapids, IA 52401. 1. Library Champion window cling to be proudly displayed. 2. Recognition on the Foundation’s website. 3. Recognition in the Library Foundation’s annual report. Library program and event sponsorships may also be available. Please contact the Library Foundation for more information on sponsorship opportunities. $5,000 + For an annual gift of $5,000 or more, the Foundation will recognize the donor on the in its Spring and Fall FOCUS newsletters, and on monitors in the Library’s atrium throughout 2017. Additionally, the donor will receive four complimentary tickets to the Foundation’s annual Van Vechten Society donor recognition event. $2,500 – $4,999 For an annual gift of $2,500 to $4,999, the Foundation will recognize the donor in its Spring and Fall FOCUS newsletters. Additionally, donor will receive two complimentary tickets to the Foundation’s annual Van Vechten Society donor recognition event. $1,000 – $2,499 For an annual gift of $1,000 to $2,499, the Foundation will place a sponsor name plate inside two of the Library’s 100 book club kit containers to remain throughout 2017. $500 – $999 For an annual gift of $500 to $999, the Foundation will place a sponsor nameplate inside one of the Library’s 100 book club kit containers to remain throughout 2017. Thank you to our 2018 Library Champions! Together, we are making a difference in our library and our community! The Ada Van Vechten Society honors those who are committed to caring for and nurturing the Cedar Rapids Public Library now and in the future. A person becomes eligible for membership upon receipt of written notification of the Cedar Rapids Public Library Foundation’s inclusion in his/her estate plans or when an annual gift of $1,000 or more has been received by the Foundation during its July 1 to June 30 fiscal year. To become a member of the Foundation’s Ada Van Vechten Society, please download, complete and return the form below or contact us with any questions you may have via our online contact form. The Foundation mobilizes community resources and relationships that empower our Library to deliver innovative programs and services. The Foundation advances the Cedar Rapids Public Library and its impact on our community. Invest in Young Minds by building confident caregivers, creating a culture of literacy and inspiring innovative experiences. Engage and Strengthen Community by bridging the opportunity gap, connecting with community, and becoming a community catalyst. Transform Lives by championing lifelong learning, telling our story, and delighting our customers. Originally established in 1972 as the Metropolitan Cedar Rapids Library Foundation, the Foundation’s mission has always been focused on supporting the Cedar Rapids Public Library’s efforts to promote literacy and lifelong learning in Cedar Rapids and surrounding communities. In 1980, after five failed bond proposal votes, the Foundation was reorganized and refocused to help finance the library’s move from the Third Avenue Carnegie Library to the First Street library location. With support from the Hall Foundation and the City of Cedar Rapids, the renamed Cedar Rapids Public Library Foundation and hundreds of volunteers raised money needed to build a new library, which opened in 1985. In the years that followed, the Foundation provided funds in support of the Library’s collections, technology, infrastructure, art acquisitions, and more. Following the flood of 2008, the Foundation’s role was again reimagined and focused on rebuilding both the downtown Library and the Cedar Rapids community. In collaboration with the City and thousands of donors and volunteers, the Foundation and Library leadership led successful campaigns to build not one, but two new Libraries for our community. The Foundation and Library are now, more than ever, concentrated on providing our patrons with innovative opportunities to interact with and learn through books, technology, art, and each other. We take seriously our role as a trusted private funding source for the Cedar Rapids Public Library. The Cedar Rapids Public Library Foundation has a long and proud tradition of high standards of accountability. We are an independent organization governed by local volunteers to help the library serve people in our community. We have a stringent system of checks and balances to make certain we operate in a sound fiscal manner. Our operating budget and library funding decisions are reviewed and approved by a volunteer finance committee followed by the board of directors. 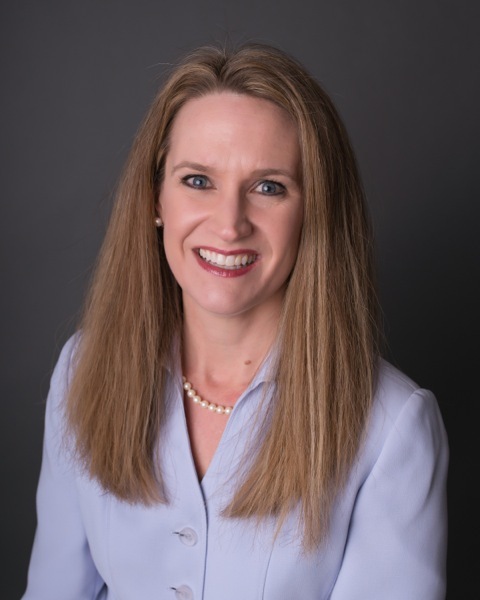 Independent firm TD&T CPAs and Advisors, P.C. conducts our annual audit, which is then reviewed by appropriate staff members, the volunteer finance committee and approved by the board of directors. We follow the American Institute of Certified Public Accountants’ Audit and Accounting Guide for Not-for-Profit Organizations to ensure financial statements conform with Generally Accepted Accounting Principles. Information about how donations are used is openly provided and we welcome questions regarding these topics.